In his new book Austin Troy shows how urban environment management is an important component of any solution addressing the energy crisis and climate change. 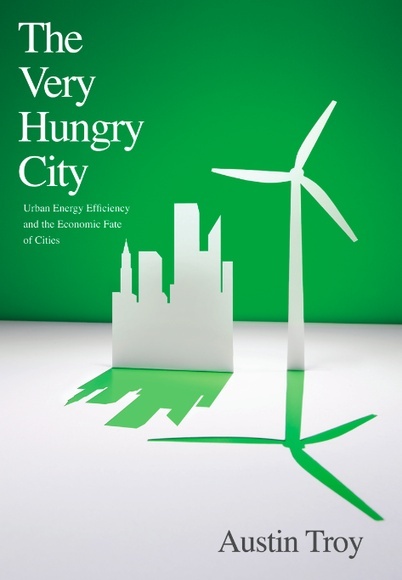 As an associate professor at the University of Vermont and former city Planning Commissioner, the author’s obvious passion for urban energy efficiency and his straightforward and conversational writing style makes a somewhat dry topic truly fascinating. The book is sprinkled with the author’s pictures and personal anecdotes from field trips that took him across the United States and Europe. The reader thus gains insight into a Scandinavian urban redevelopment project that serves as a role model to the rest of the world or into the house of a Hollywood actor, who decided to turn his house “green.” A unique and rather clever feature of the book is its mini chapters on the different forms of existing energy and their sustainability, such as tar sands, nuclear fission, biofuels and wind; all to demonstrate to the reader that there is no “silver bullet” solution and that energy efficiency and energy conservation must absolutely be part of any serious action plan. The first part of the book outlines the energy crisis that cities worldwide are facing while the second part is all about solutions. Yet to the author’s credit he does not present the reader with a tedious list that has been regurgitated time and again. Instead, Troy delivers his message by going back to the historical roots of the problem and by using real-life examples, proving that it is possible for very hungry cities to go on a healthy diet.